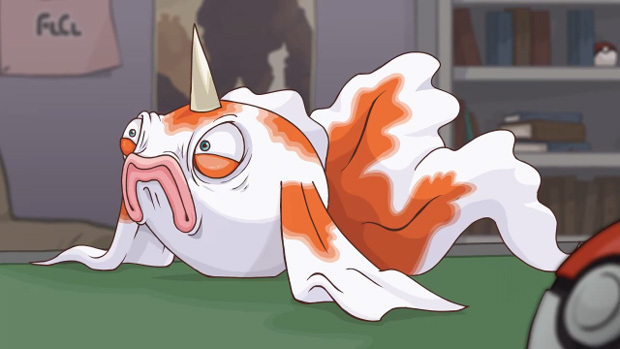 Goldeen -- just above Metapod and Magikarp on the list of Pokémon that are better off dead. "But they evolve into much more powerful creatures!" Yeah, they're still turds. 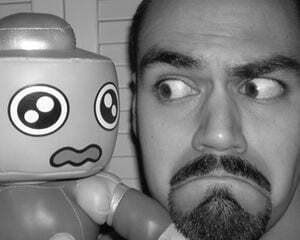 But when you get between a Goldeen and its love for sh*tty cover songs, you best watch yourself, son! This video comes from Newgrounds animator RedMinus and his partner Caxx, both who you may remember for their hilarious Marvel vs. Capcom 3 Dante video. I also gotta hand it to Caxx for her Ash Ketchum impersonation. Seriously, spot on. BONUS: Pikachu's wicked air solo!